Old Java Culture has full of philosophy story about life. It has implied in their dances, arts and songs. Hereby, I'll explain about philosophy life of java through their lyric on their's old song. The famous song in old java culture is "Tembang Macapat". "Macapat" is come from Java's Acronym "Mocone Papat" (To read is Four - Four), Tembang = Song. "Tembang Macapat" divided into several title of song which each title will implied different meaning of java's philosophy. 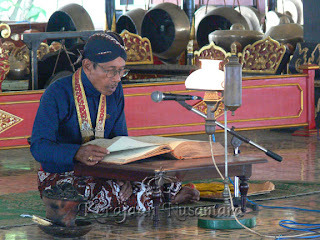 This songs has created by turbulence of history and culture in the land of Java. According to me, "pangkur" is the best song in "Tembang Macapat" ( Macapat Java Culture ) because it give more advise about how to get better life in this world. "pangkur" is come from java's word "mungkur" which mean set back all our desire, think about do something to society not only for ourself. this is similiar to plant the seed of disaster. Hope you'll get some knowledge from this article Macapat Java Culture. Dont have comment yet for: "Macapat Java Culture Indonesia"